Montana legislators met in Helena this past week to attend orientation for the 2019 session that will begin in just a few short weeks, and to determine leadership for the House and Senate. At the same time, Gov. Steve Bullock released his budget proposal for the 2021 biennium, a plan that calls for maintaining the Montana Health and Economic Livelihood Partnerships Act that expands Medicaid in Montana. One of the biggest challenges facing lawmakers in the new year will be ensuring that Montana's most vulnerable are able to receive the care they need to lead long, healthy lives. This means renewing the enormously successful Medicaid expansion program. Unfortunately, some state legislators have hinted at their intention to severely reform Medicaid expansion, or see it end altogether. This would be a tragic mistake. Medicaid expansion has helped tens of thousands of low-income Montanans since it took effect in January 2016, thanks to a bill narrowly passed by the 2015 Legislature. At last count, more than 96,000 Montanans were enrolled, helping to slash the state's uninsured rate by nearly half. Medicaid applicants must make less than 138 percent of the federal poverty level: $16,643 for a single person or $33,948 for a family of four. Montana's program requires enrollees to pay 2 percent of this meager income in premiums. More than 70 percent are families with children. According to the Henry J. Kaiser Foundation, 61 percent of children with special health care needs are covered by Medicaid in Montana, and 67 percent of adult enrollees are working in Montana. Medicaid covers three of every five nursing home residents, and one of every two individuals with a disability. But some Republican legislators suspect there must be freeloaders in the group and want to push workforce requirements as a condition of enrollment. Already, there are bill draft requests in line to generally revise Medicaid expansion. Multiple studies show that Medicaid expansion has had a strong positive effect on more than just individual health outcomes. 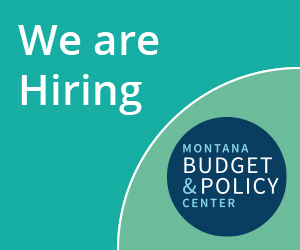 According to an April report by the Bureau of Business and Economic Research at the University of Montana, Medicaid expansion can be directly linked to substantial gains in jobs and personal income through increased economic activity; it even reduces debt and crime rates. Medicaid expansion spurs the economy, actually resulting in a net savings for Montana taxpayers. Under Medicaid expansion, the federal government pays a greater portion of the costs for a number of folks who were previously covered primarily by state dollars, resulting in a general fund savings of $58 million so far, according to an October report by the Montana Budget and Policy Center. Bullock's proposed budget summary notes that Montana's uninsured rate is now at 7 percent; it was 20 percent as recently as 2013. Rural communities have seen the costs associated with uncompensated care reduced by nearly 50 percent, and Medicaid expansion has kept hospitals open in states that adopted it. The budget proposal provides a good starting framework for discussion. It's up to the Legislature to reauthorize Medicaid expansion so it can continue improving Montana's health.